Furniture designed for the way you live. 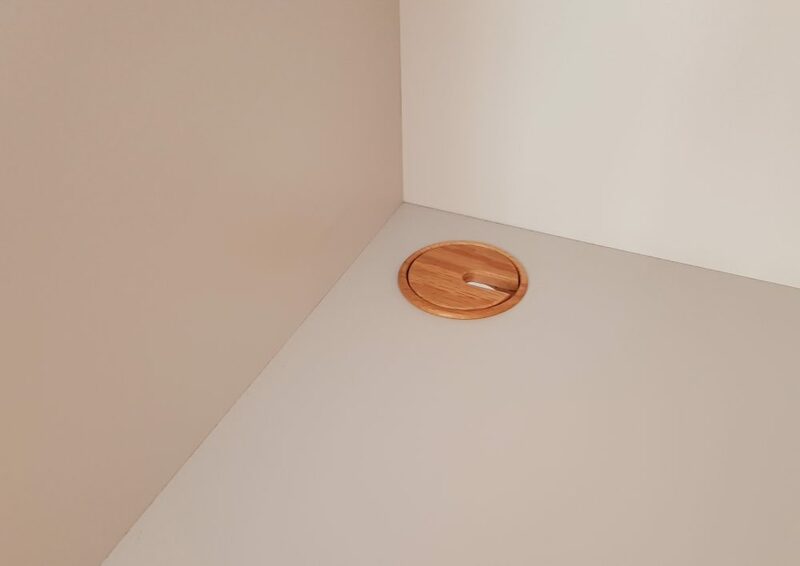 Sometimes our homes can present difficult spaces, where standard mass-produced furniture just can’t maximise the potential look or function of the space. 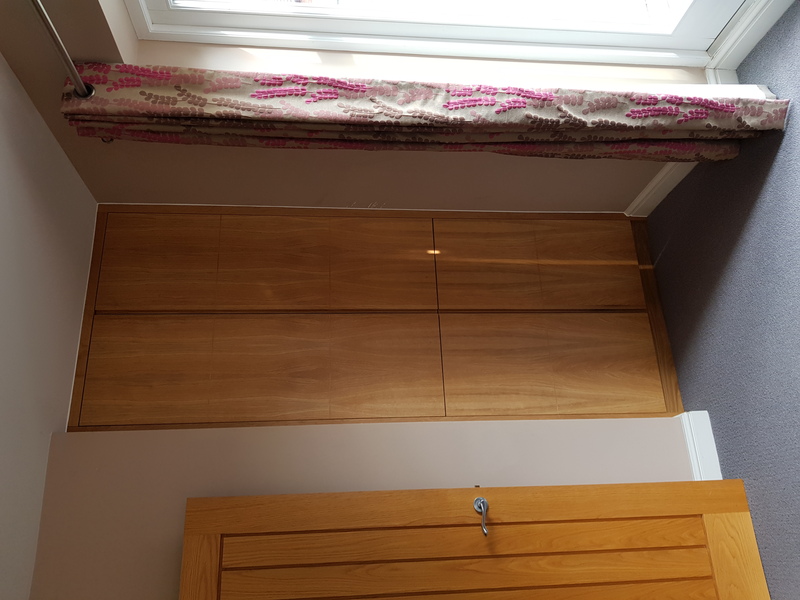 Here at Mark Williamson Furniture, our experience can help you to turn challenging spaces into beautiful storage solutions. We recently completed work for a client who wanted to maximise the use of three spaces in their home. 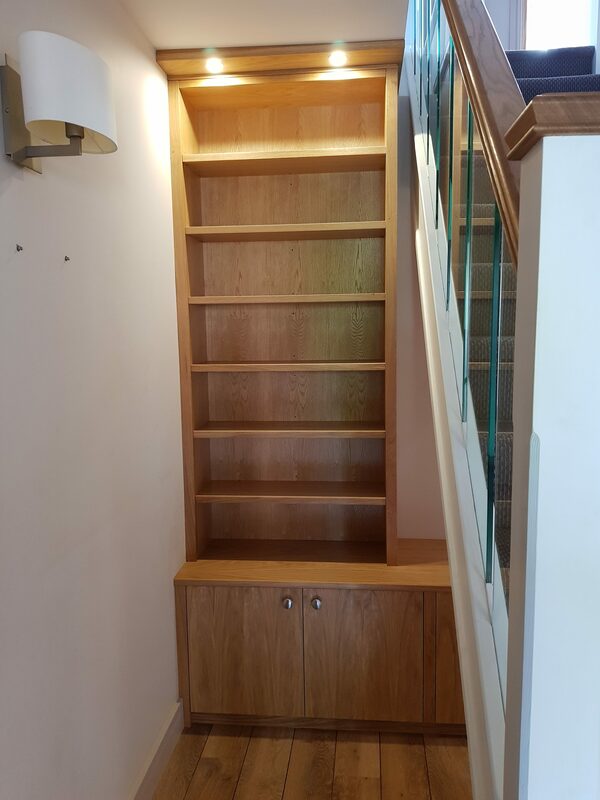 The first was an area under the stairs in a hallway; a high traffic area, the storage solution we designed coupled coat storage, low level cupboards and a tall bookcase with integrated lighting. 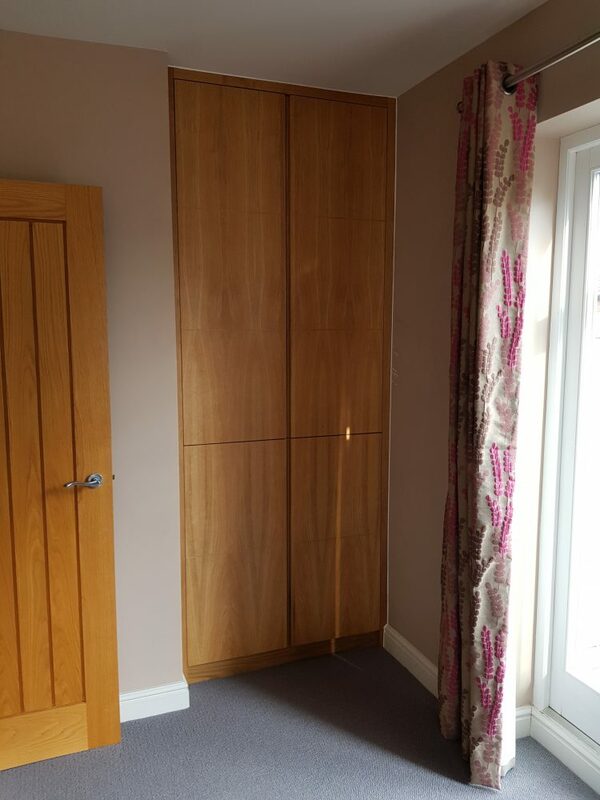 Functional hallway storage combining coat hanging space, low level cupboards and tall bookcase. 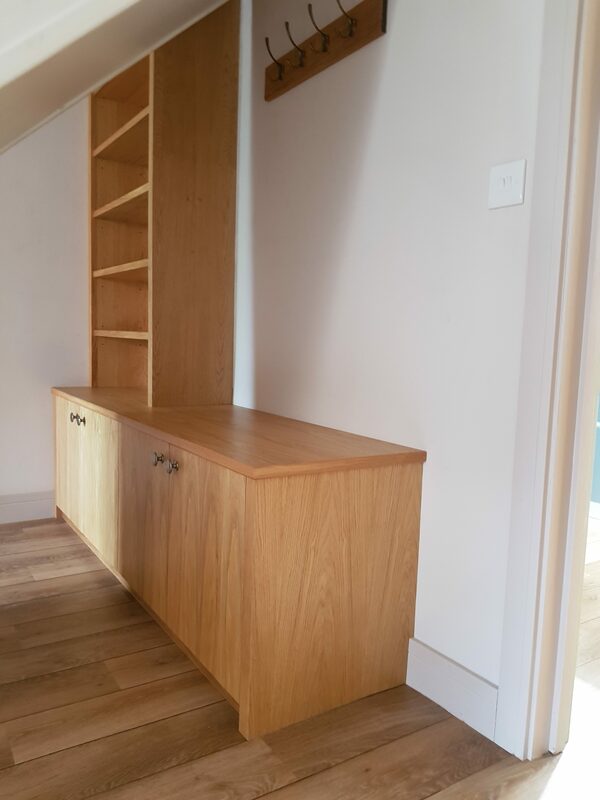 The framework for this piece was constructed in solid Oak with the cabinetry consisting of Oak veneered high quality furniture grade MDF with solid Oak edging. The bookcase was fitted with six adjustable shelves and finished with simple detailing to the ceiling. Soft close hinges, concealed in the construction of the doors provided a clean and simple look. Sloping ceilings can also create difficult spaces, where it’s hard to know how to make best use of the area. Together with the client, we designed an open shelving unit which we carefully scribed to match the ceiling contours for a refined finish. 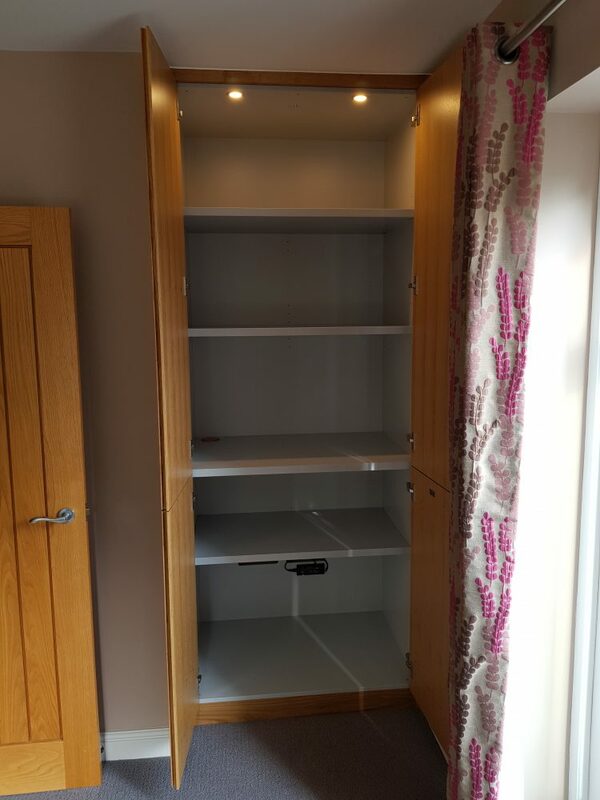 Finally, a narrow recess in a spare room lent itself to a custom made floor to ceiling shelving unit with double doors to provide a streamlined look. The handles, integrated into the structure of the doors run the full length of the unit and add to the modern and sleek appearance. 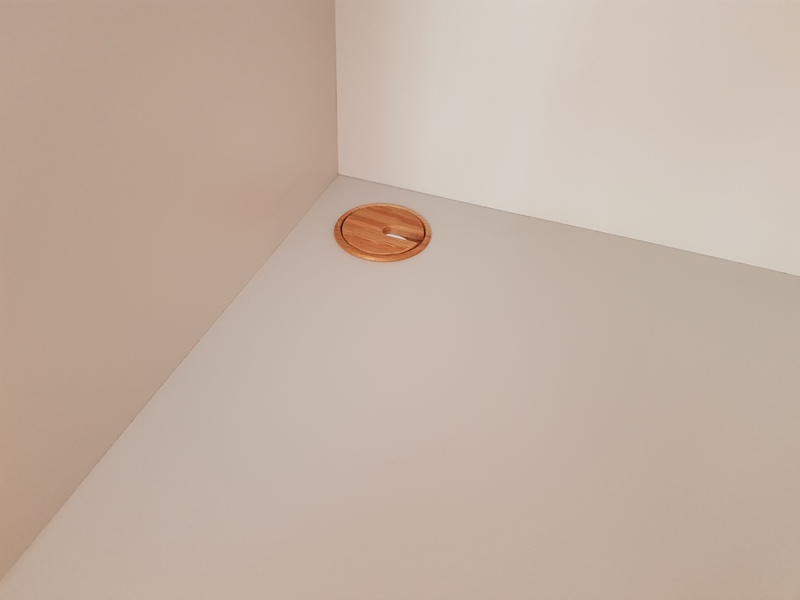 As with each of the pieces this unit featured integrated lighting and we also ensured that the plug sockets remained accessible, with cable management considered in the shelving configuration. Do you have a space you’re not sure how to best utilise? 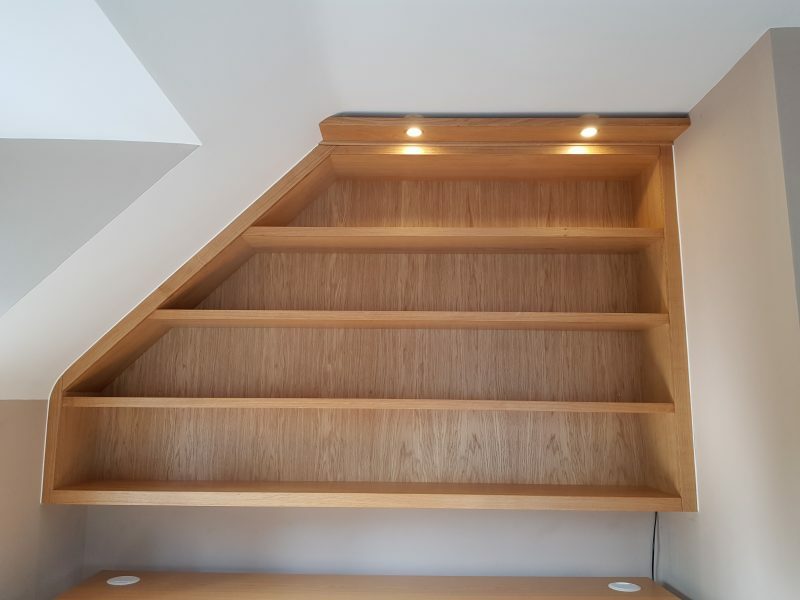 If you’d like to maximise your storage space, or make a feature of a space in your home contact us and we can design and craft a bespoke solution for you.